Kathmandu is a city full of stray dogs. Wherever you go in the city, you can be sure to find a myriad of these stray canines, ranging in different sizes and demeanor. They show an indifference to social status, choosing to house themselves amongst both the poorest of the poor and the few wealthier communities in the city. Their pervasive existence is the source of many jokes, especially among English ex-patriots, who have suggested the ancient city change her name from Kathmandu to Dogmandu. As dusk approaches in the warmer months, the dogs can be heard calling out to one another throughout the city’s long nights. Whether the canines’ conversations be cordial or aggressive, their communication does not lessen until the dusk of the following morning. Not surprisingly, the dogs seem to become much quieter as the cold deepens in the winter months. Whatever the cause of their incandescent barking seems to become irrelevant in the face of the harsh, dry winter months. While the dogs’ barking can be monitored with regularity, Nepali society’s engagement with the animals is less consistent, varying with the differing personalities of the Nepali people. Most choose to shoot the dogs when they come in close proximity. Others—likely operating with some degree of reasonable fear—choose to avoid the dogs by walking on the other side of the street or fleeing from them when necessary. Still, some choose to offer kindness to the dogs, perhaps by buying them some crackers from the street corner or offering the dogs their personal leftovers. Regardless of one’s personal preference towards the dogs of Kathmandu, all Nepalis unite one day of the year to cast off their contempt. On the second day of Tihar, a four-day religious festival, Nepalis will search out the stray animals and invite them into their homes to be worshipped. On this day, the dogs of Kathmandu are given foods, venerated and dressed with orange marigolds and tikkas. Nonetheless, outside of this one day, most simply express a common disdain for the creatures. My initial reaction to the dogs was to follow suit with the general population and loathe the dogs. I had just moved to the country, and their barking only seemed to catalyze the lack of sleep that comes from jetlag. While I had little knowledge of the country prior to moving there, I had recently become aware of the relatively large number of street children in the city. A newfound awareness of these children’s existence was enough for me, a recent college graduate, to defer graduate school one year, move to Kathmandu, and explore how I could aid these children. I had no prior experience to assist me in this venture, nor anything tangible to offer the children. I did, however, know they existed, and that was enough for me to pack my bags and move to a city full of annoying dogs. They were all unique; each with a different story. Many had lost their parents to some form of death. Some had fled abusive, violent family settings. Others left their families in villages to come to the “big city” in pursuit of various vain promises of education and work. Most, however, were merely abandoned by their parents, unware of what their story truly was. The children formed themselves into various communities to aid one another in survival. The children are generally raised by children who have likewise been raised on the streets. As each child is unique, so is their community. The Hindu street children live and beg completely different from the Muslim children. Similarly, the Indian children, who at some point migrated to Kathmandu, live and beg altogether differently than the Nepali children. Furthermore, while each’s story is distinctly their own, the children do share some common qualities. They are all forced to beg for survival. The youngest ones are much more willing to trust than the older ones, and all are willing to break a smile when given enough time. Nonetheless, each is spoken of under the all-encompassing category of “street child.” This is who they are, their identity. Many Nepalis will often refer to them as “khate,” a derogatory term meaning “plastic collector.” With this term, the child is marked by society. He or she is a khate. The only positive thing the tattered clothed child can do for society is collect the trash littered by others. Other than that, the child is a mere nuisance, leeching from an already struggling economy. In this regard, the street children of Kathmandu are treated not much differently than the dogs of Kathmandu. Some Nepalis choose to shoo them. Others choose to show kindness to them by buying them a pack of crackers or giving them some Nepali Rupees. Even the kind do so with caution, knowing that giving to one potentially result in being swarmed by others. Most, however, choose to simply avoid them, perhaps viewing the child with an implicit disdain. The street child’s life is essentially that of the dog’s life. This is the livelihood of the children, and as they are raised in this environment, they grow to believe that which has been spoken of them. Society’s perspective of the children becomes the child’s perspective of him or herself. He or she is a khate. To the child, he or she is intrinsically less than the rest of society, playing the same role in society that the dogs do. Most believe that they are as valuable as stray dogs. This perspective is why providing benevolent assistance is such a difficult task. You can give the child food, water and shelter, but as long as the child views him or herself as beneath society, he or she will act and live as one who is beneath society. I spent the majority of my time and efforts in an attempt to gradually curtail this self-perception of the children. After doing this work for several months, I was invited to the Serving Orphans Worldwide’s Himalayan Home in Kohalpur, Nepal. As I anticipated interacting with the home’s children, I prepared to engage with them in a manner similar to how I learned to do with the street children. If I am being honest, after spending months with street children, I travelled to the home with low expectations for the children’s wellbeing and self-understanding. After all, the term “orphan” shares many of the same semantic qualities with “street child.” They both have loss familial support, and as I presumed, they both suffered from the same psychological effects of that abandonment. My plan was thus to engage with children, who viewed themselves as less than the rest of society. However, upon arriving at the home some 10 hours west of the capitol city, I encountered something unexpected. While I am sure each child had their own potentially-traumatic story, there was an unavoidable sense of optimism in the atmosphere. I anticipated seeing downcast demeanors but instead found the children laughing, smiling and playing. Rather than despondence, I found hope. This hope was—and still to is to some extent—indescribable. It permeated all of the children’s actions. When they played, there was hope. When they cleaned, there was hope. When they concluded their days with supper and evening prayers, there was hope. And this was no vain, ordinary hope; the hope that they possess is a divine hope. This hope is not one necessarily fixated on the life that follows this one; instead, it is founded in who they are. As the children come into the home and begin to be raised, they are taught one simple truth: God loves them. The child begins to truly believe that he or she is truly a child of God, one loved by a heavenly Father. This truth is the source of their hope, which fosters into joy and love. Thus, the child is far removed from khate. The term has no application to the child in the home. The mere presence of a divine love truly melts away any connection to a lowly worldview. The child is loved by a heavenly father. He or she can laugh, sing, play and dream in a new and distinct way. They act and grow from a place of love. When you pray for the 150 million orphaned children of the world, these children’s acceptance of divine love is the first fulfillment of your prayers. 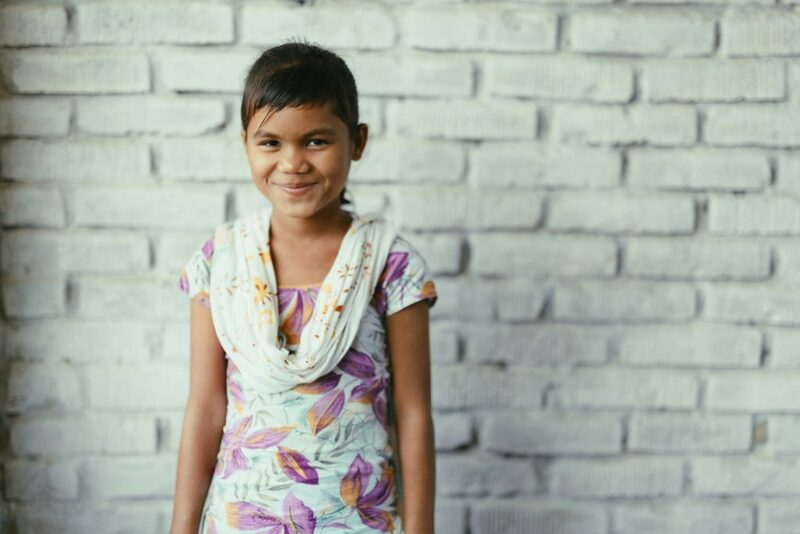 When you give financially to a Serving Orphans Worldwide home, you are not merely providing shelter, food and education for children, you are providing the child with an environment that fosters a new identity. 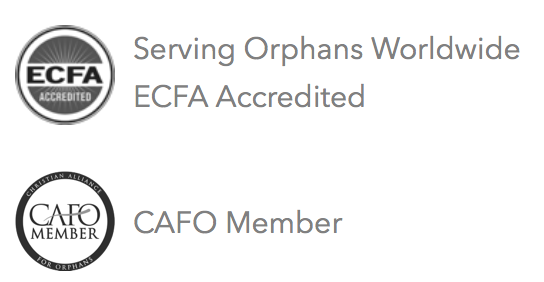 Your involvement in Serving Orphans Worldwide plays a major role in taking a child from khate to a child of God. Learn More about our partner home in Nepal by CLICKING HERE.